“Beltline! Light It Up!,” read the illuminated sign that preceded the procession in Atlanta’s Annual Lantern Parade on Saturday. The parade, which drew over 60,000 people last year, is a celebration of the Annual Art on the Beltline art exhibit, and according to art.beltline.org, is the largest temporary outdoor exhibit in the South. In the weeks leading up to the parade, a series of workshops taught people in the community, both kids and adults, how to design and construct their own paper lanterns. It is the perfect opportunity for people to illumine their best and most creative ideas, and thus previous parades have been described as “magical” and “spectacular.” What’s more, participation in the parade is free and everyone is encouraged to take part! The sun sets behind the Atlanta Midtown skyline. 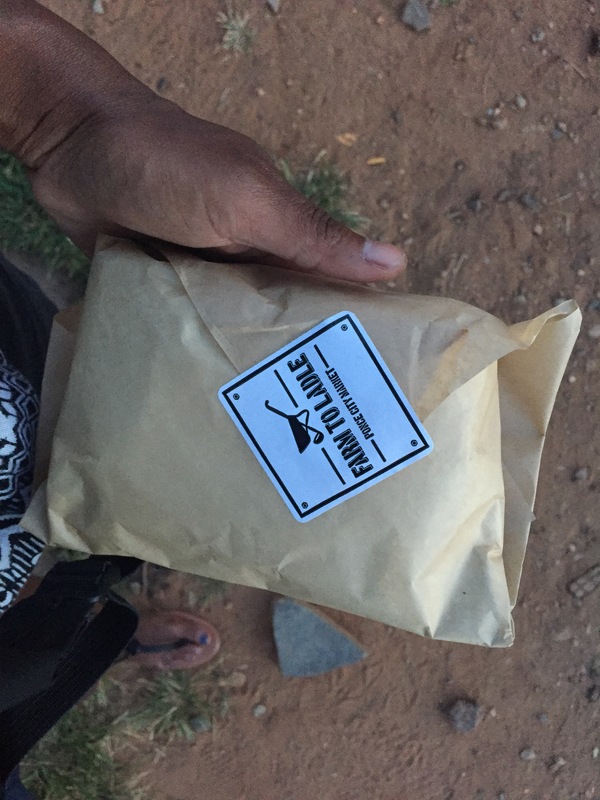 I made my way to Ponce City Market, valeted my bike, and headed to the market to grab a quick bite. I wasn’t prepared for how crowded PCM would be. Just about everything had a long wait! Lines extended into the walkways and there was hardly any room to move about. 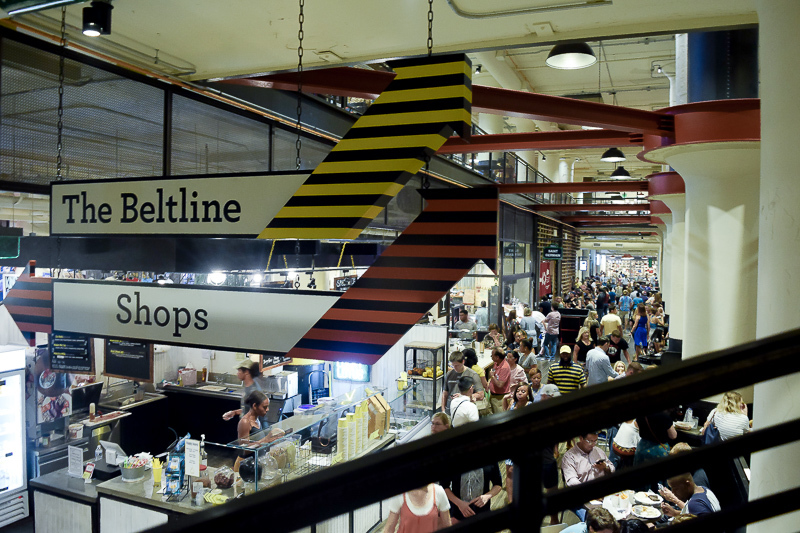 Ponce City Market was full of people who would soon watch the Lantern Parade on the Atlanta Beltline’s Eastside Trail. 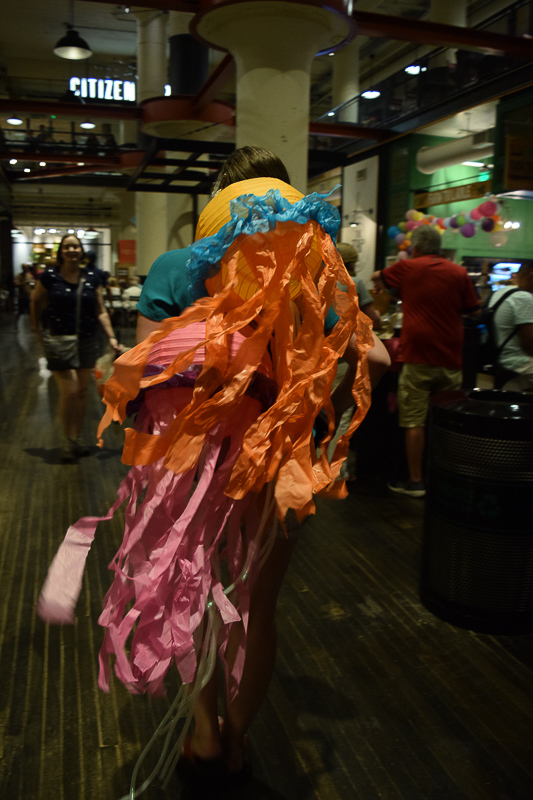 Ponce City Market was a buzz with excitement for the Lantern Parade. 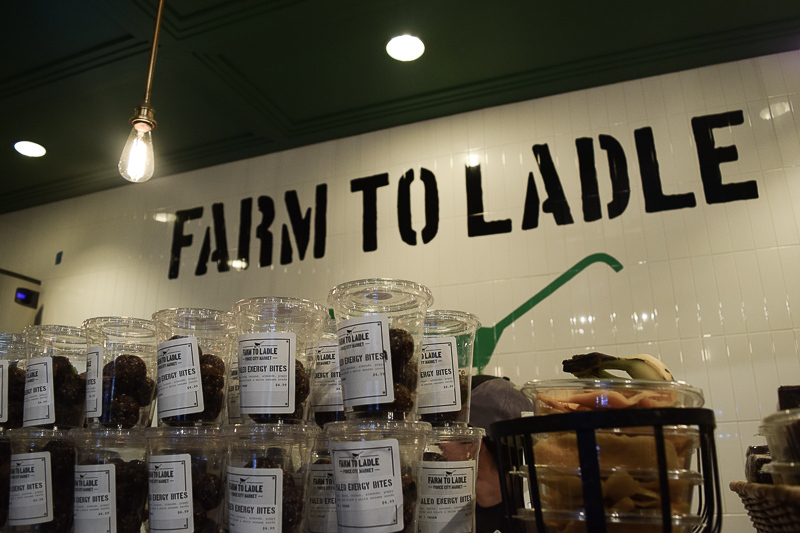 I walked around a couple of times before I noticed that Farm to Ladle had one of the shortest lines in the building and still had sandwiches in their display refrigerators. Score! 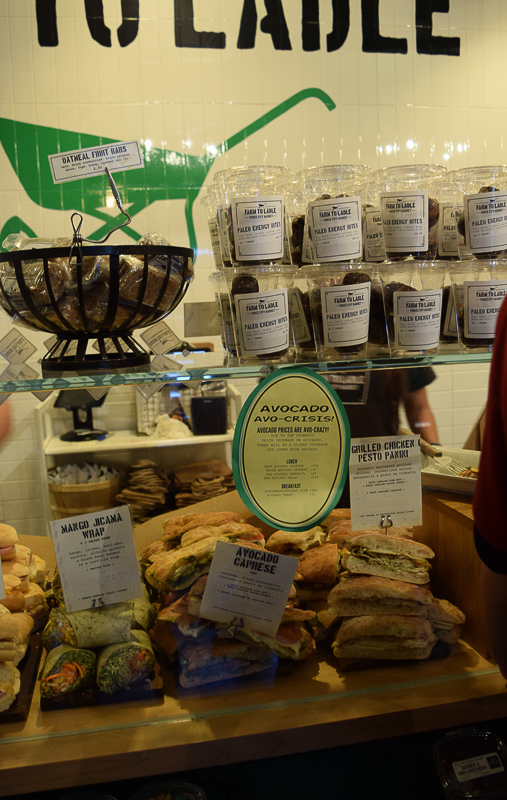 Paninis on display from Farm to Ladle. Snacks on display from Farm to Ladle. 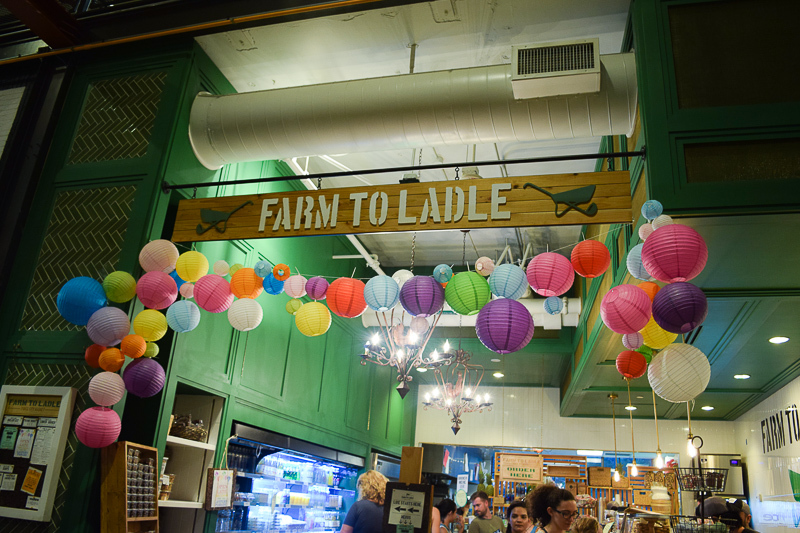 Lanterns adorn the Farm to Ladles store front. The line at Farm to Ladle was the most manageable at Ponce City Market before the Lantern Parade. 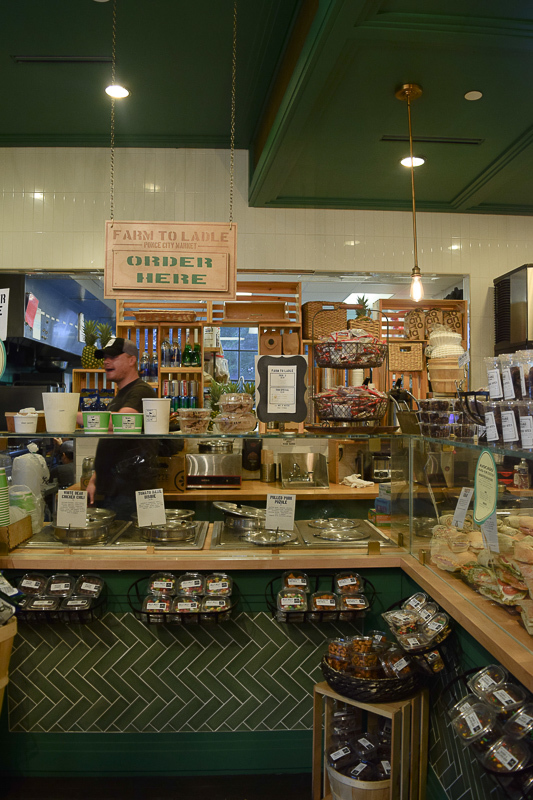 The order counter at Farm to Ladle is full with fresh goods! 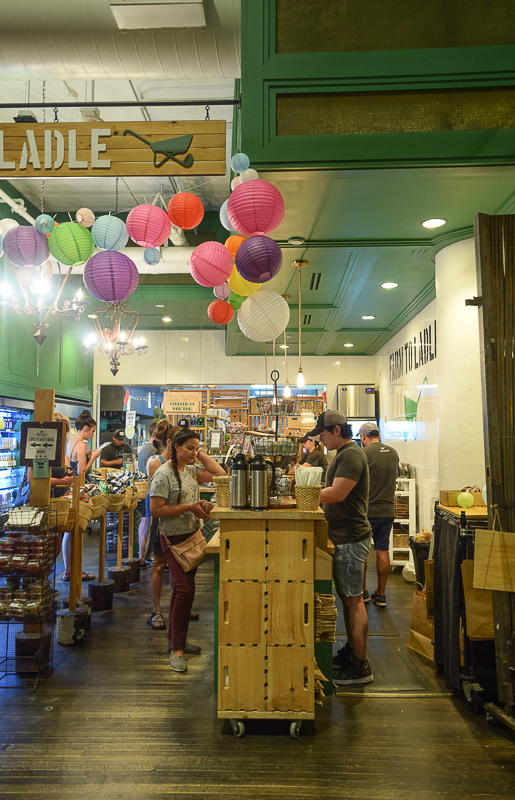 The store opening was festively decorated with lanterns marking the occasion of the parade. Even better, they offered panini sandwiches. I felt lucky to have found a quick and warm meal among such pandemonium! I stuffed my sandwich and chips in my backpack and headed back up the stairs to grab my bike from the valet and snag a spot on the grass to watch the parade. A crowd of people leaves Ponce City Market to make their way up to the Beltline to wait for the start of the parade. The parade was to start at 8 o’clock at the Beltline’s intersection Irwin Street/ Lake Avenue. and would march about 1.5 miles before arriving at PCM. It was still early so I ate my dinner as the sun moved behind the skyline and parade-goers and participants crowded the walkway in anticipation for the parade. 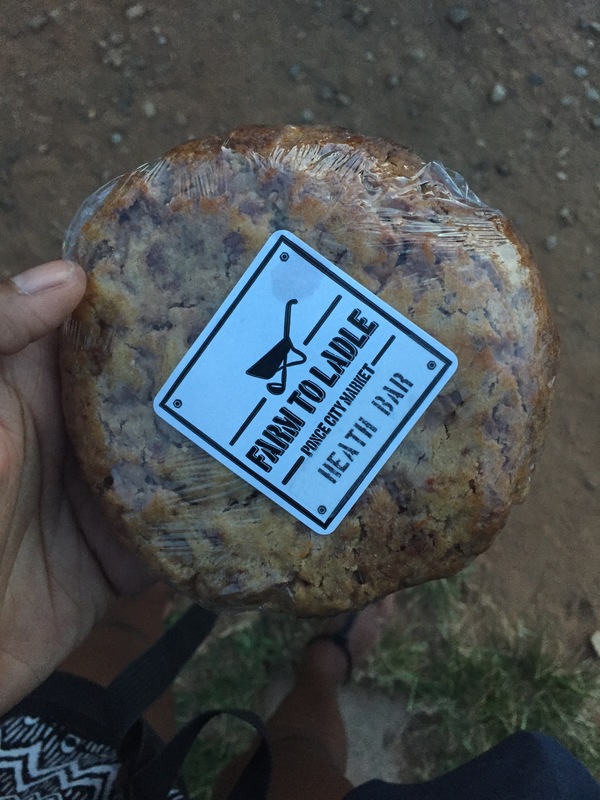 Farm to Ladle homemade heath bar. 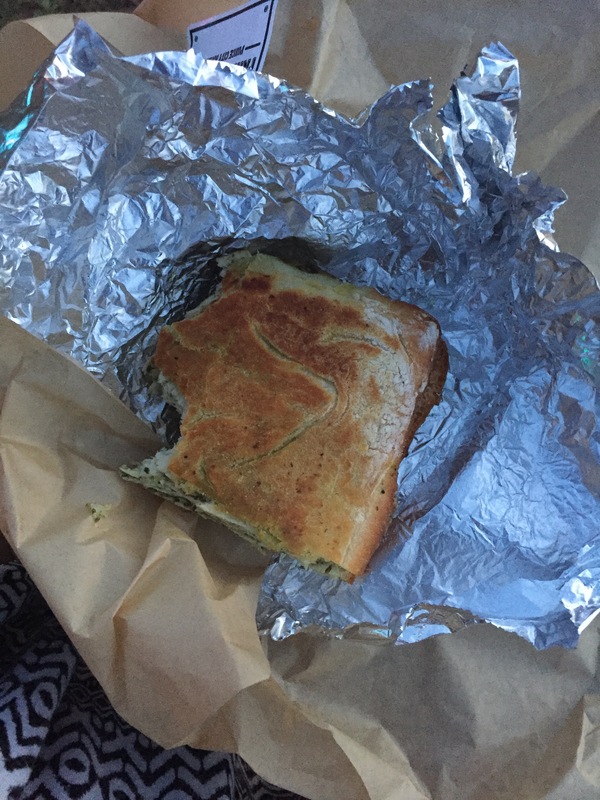 Farm to Ladle sandwich perfectly wrapped. After a long wait of watching people come and go, some with lanterns and some with libations, around 8:30 we saw the sign that would begin the official promenade! An orange and red illuminated Phoenix began the parade as it passed by Ponce City Market. What followed was a light show of community imagination! A unicorn and parrot lantern. Zero, the ghost dog from The Nightmare Before Christmas. Some lanterns were creative, some scary, some otherworldly; some were tokens of childhood nostalgia, icons of pop culture, and figures of nature; some were political and some were marketing ploys. But everything was stellar! A tall, billowy, and very lifelike figure graces the parade. Lantern man moons the crowd. There were lots of “oohs” and “ahs” as lantern after lantern passed in front of us. A fellow photographer and I scrambled to keep up with every new lantern we saw, praying that our lenses and batteries would endure the low light conditions and the multitude of photos we were taking (I took 500). A clown lantern towers over the promenade. A fellow photographer captures a great shot during the parade. Colorful butterflies fly over the parade. A Day of the Dead lantern illuminates the sky. A group of robots makes their way through the parade. Anglerfish with a lantern bulb. 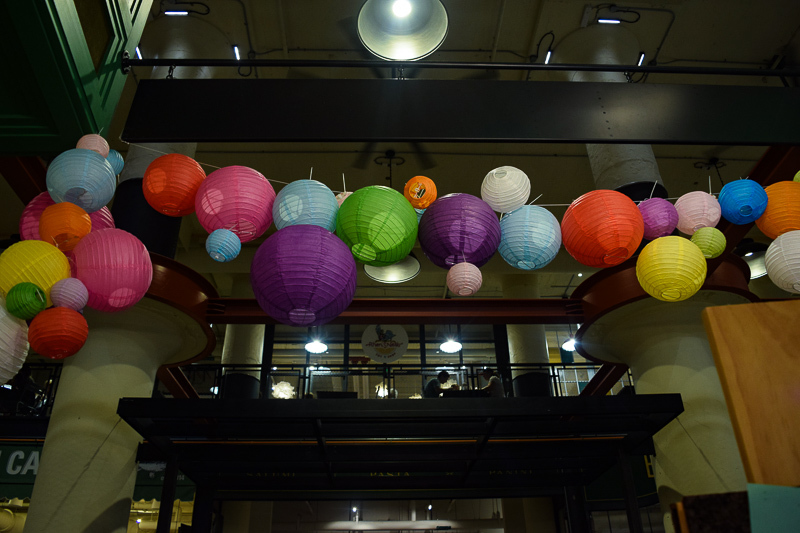 The last lanterns pass by Ponce City Market. Afterward, as the parade goers congregated in Piedmont Park, the lanterns took on a life of their own. A block party of illuminated figures made the atmosphere electric. Owls with predatory looks appeared to fly, tall, billowy human figures seemed to dance, and with the skyline illuminated in the background, Atlanta seemed to signify the surreal. The lanterns congregated in Piedmont Park after the parade. The end of the parade is celebrated by partygoers in Piedmont Park. Bubbles are illuminated by the light of the lanterns. I got some of the most interesting photos in front of Paris on Ponce which had set up a big lantern-esque tube. Music could be heard playing from the inside and silhouettes of kids and adults dancing could bee seen as they were illuminated by lights that changed colors by the second. Someone stops to admire the lantern tent set up by Paris on Ponce. A parade goer stops to take a video of the lantern tent. Naturally, people stopped for photos in front of this display of sound and color, and this is where I got my second best pictures of the night. In an obscure form of street photography, people seemed to be frozen in time as their dark profiles were illuminated by electric hues. A man walks by the lantern tent carrying a lantern jellyfish. A man walks by the lantern tent with glowing shoes. Two silhouetted girls pose for photos in front of the lantern tent. Figures walk in front of the lantern tent. The motto of the Atlanta Beltline is “Where Atlanta Comes Together” and indeed Atlanta came together in a show of community, light, and creativity. Events like these exhibit the spirit of Atlanta and continue to endear me to this city more and more! The Bank of America Plaza glows in the distance.